NEW YORK – An open letter signed by over 130 faculty members was delivered this morning to NYU President John Sexton calling for fossil fuel divestment. The letter, which began to garner signatures in early February, calls on the university to divest its $3.4 billion endowment from the top 200 publicly traded oil, gas, and coal companies. The university currently has an estimated $139 million in fossil fuel investments. The letter was delivered in hard copy this morning by the Environmental Studies department chair, Dr. Peder Anker, who stated, "NYU needs to divest, because it’s the right thing to do." Delivering it on paper? Isn't that going to kill trees? 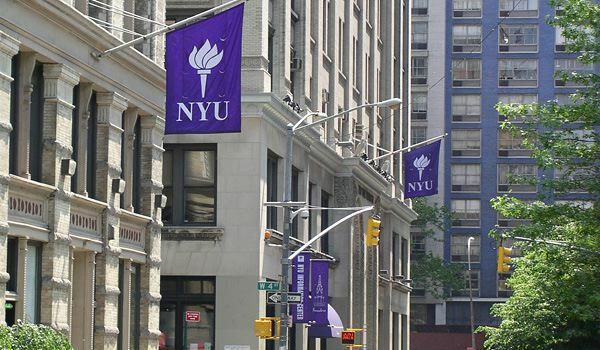 However, what interested us was, well, we know pretty much nothing about New York University. This is not a comment about the divestment campaign please note (a silly idea but it's not about that). It's a question about, well, is 130 members of faculty an interesting number or not? The latest number I found from 2013 is for "Academic Staff" is 6,564. We'll assume that Academic Staff is a rough proxy for Faculty shall we? And our rough, back of that fag packet with the cancer warnings on it, calculation is that 2% of the faculty have signed this petition. From memory, so don't quote us on these numbers, some 11% of Americans are convinced the Moon landings were fake, 18% think that Obama was born in Kenya and, judging from legislative acts, more than 50% are sufficiently deluded to think that raising the minimum wage increases the number of people in employment. But, this is how politics is done. Some papers will print this release without questioning the numbers and it will become a standard tale that "the faculty of NYU call for divestment". And thus is politics done in this modern age. Aren't we all such lucky people?